Sitting around in the evenings watching rubbish tv just isn’t enough so I thought I’d teach myself a new craft. I’ve been meaning to learn to crochet for some time now and sadly I have failed to find anyone I know to teach me, so out with a book! I have been learning from Simple Crochet by Erika Knight. The illustrations are really clear and the text is quite easy to follow as long as you read through it carefully (no skimm reading)! The problem is that I’m not quite getting my head around it. As you can see from my first attempt at double crochet I managed to decrease a stitch each row … ooops. I’m also not convinced that the stitch looks like it should. It certainly doesn’t look like it does in the book. Maybe I need to find an expert after all! If anyone knows of any good on-line tutorials for beginners or even a great book then leave me a comment. Better yet, if you know how to crochet drop by and I’ll put the kettle on and get out the yarn! which was great because it uses great big yarn and hooks so you can see exactly what you are doing! Not bad for a 1st attempt! It explains things really well, good little diagrams, written in easy to understand language. The only thing is its american, and they have different crochet terms than the uk, but the book explains that as well. I learned to crochet just a few months ago with the help of some tutorials from Teresa on YouTube. You can search for specific stitches or tips and she even takes you through entire projects. It looks like you are doing double crochet from the pic. Are you crocheting in the last stitch (the top of the chain 3) at the end of your rows? 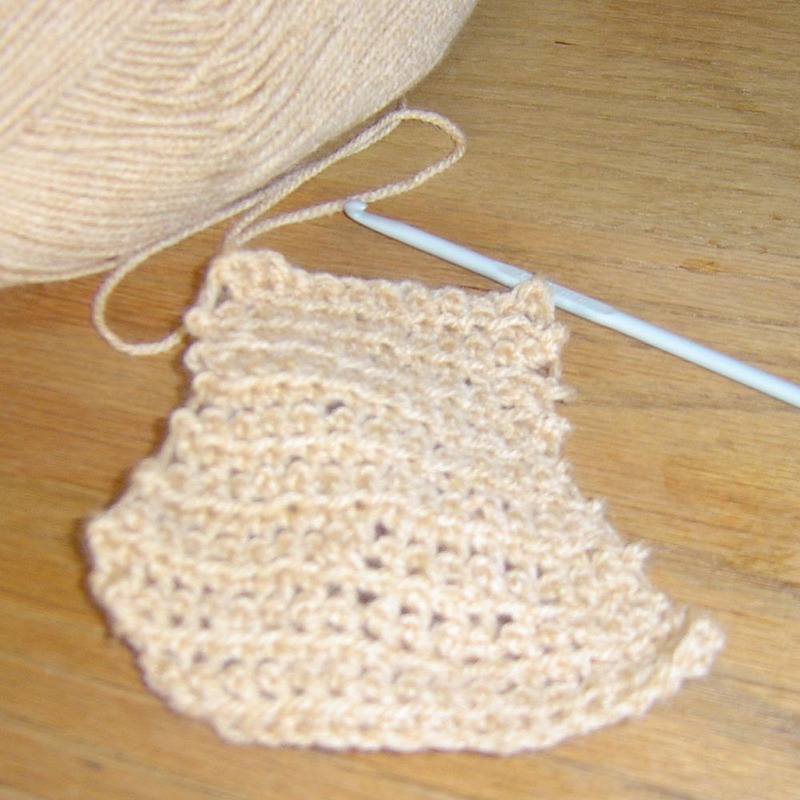 That is one of the most common mistakes new crocheters make with double crochet. The chain 3 counts as a stitch. I didn’t have a book to teach me, I had my mom. But, http://www.lionbrand.com has some nice directions and tips for learning to crochet.